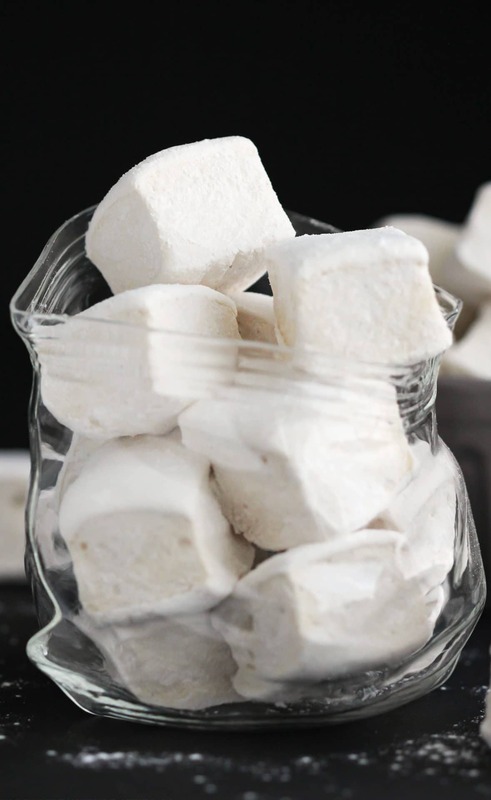 This recipe for fluffy Healthy Homemade Marshmallows is SUPER quick and easy with just 5 simple ingredients (and no high fructose corn syrup in sight)! Every time I walk by a bag of marshmallows, I remember sitting on the couch with my friends at a sleepover, popping those white orbs of fluffy clouds into my mouth. While normal people would eat popcorn or chips during a movie, I’d be over there with my big bag of mallows. For some reason, I liked that I could down an entire bag without feeling a tad bit full. I sure did get quite the sugar rush (and crash), though… tsk tsk, good ol’ Jessica, tsk tsk. I have been seriously craving marshmallows lately, so I satisfied that craving with these Healthy Homemade Marshmallows. 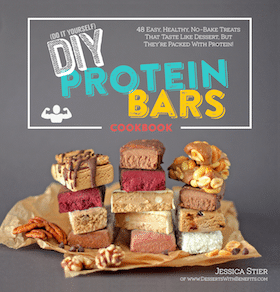 They’re made without the refined white sugar, high-fructose corn syrup, and artificial food dyes too! Don’t let the word “healthy” turn you off. 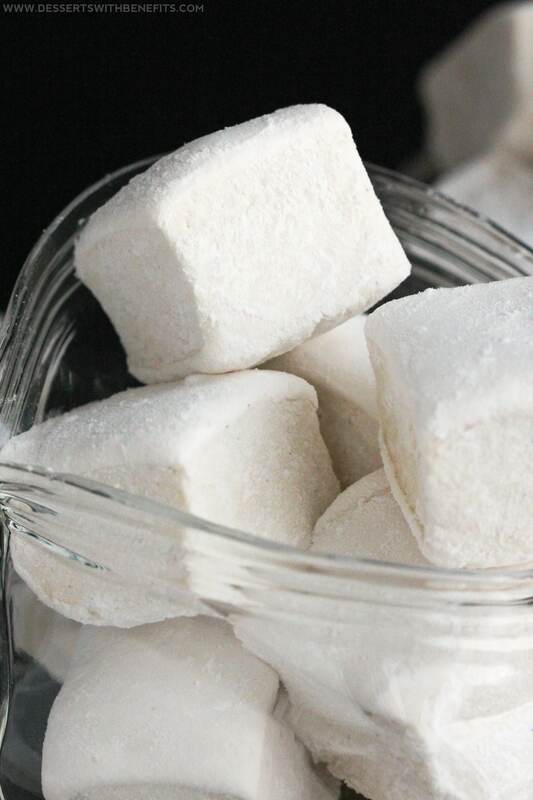 These marshmallows are just as soft, fluffy, airy, and delicious as the storebought kinds. And just as sweet, of course! Spray an 8x11″ rectangle pan with cooking spray and line with parchment paper one way for easy removal later. In a large stand mixer bowl with whisk attachment, add the gelatin and water. Add the vanilla paste and salt and beat for 1 more minute. Dust your countertop with the arrowroot starch. Gently flip the marshmallows onto the counter and slice the marshmallows. Toss the marshmallows around in the starch. Serve and enjoy! I never cave into buying a bunch of junk food at the store anymore, even when I walk by Hershey bars or big bags of marshmallows, because I know how terrible quality the ingredients are. I feel like if a company uses crap ingredients, they think of their customers as crap (actually, they probably don’t think about their customers at all…). My “rule” is that if I’m going to eat sugar, I gotta make it myself and from scratch using the best quality ingredients available to me! 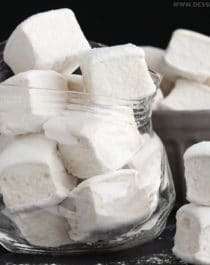 While these Healthy Homemade Marshmallows may not be those most nutritionally balanced snack you can find, I think the main point is that it’s a much better option than anything you can buy from the store. We aren’t ingesting any genetically modified high-fructose corn syrup, artificial food dyes, bleached sugars, or preservatives. These were so good, I know I’m going to make them again soon! 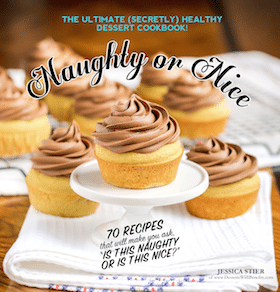 I might want to try a peppermint-swirled variation or incorporate chocolate somehow. Mmmmm. PS: Love marshmallows but don’t want any of the sugar? Check out my Healthy Sugar-Free Marshmallows! Ooooh you made marshmallows healthy!!!! These look just like the perfect thing I’ve ever seen! I have been dying to make homemade marshmallows for ever now! These look so so good! 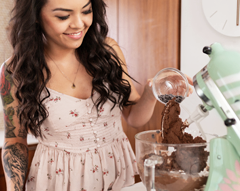 Have you tried baking with them yet? I bet they are divine in the hot cocoa! 🙂 Can’t wait to try these, thanks! IS the arrowroot starch really necessary? Would stevia powder work the same? These look great! I have yet to find a vegetarian version, though . . . sigh. Maybe someday! Erm… Gelatin is absolutely not vegetarian?!! It’s not made BY animals it’s made OF animals so it’s not even close. Thai recipe is listed as a vegan recipe on Pinterest and it even says within the post that this recipe is vegan- think you need to revisit some things! Oops! My bad, must’ve been tired writing that comment! You’re correct, gelatin isn’t vegan or vegetarian. However, thousands of people pin recipes from my site so I’m not in charge of what they write in the captions. Nowhere in this post did I state the recipe was vegan, so I’m not sure why someone pinned it as vegan? They look amazing!! How long will these store? I’m not sure about the maximum time these can be stored, we finished them in about 2-3 days… all I know is that, because these don’t have preservatives and artificial ingredients, they won’t keep as long as the storebought kinds. I am 90% sure psyllium will not replace the gelatin here… however, if you are feeling up to some experimentation you can give it a shot. I mean, I’ve seen flax gel work in similar ways to gelatin, so who knows, you might be onto something!! Good luck! I made these marshmallows and they are so so good! I followed the recipe exactly except I used all granulated Erythritol and I needed another tbs. I don’t have a stand mixer so I had to use I hand held mixer – it took 22 minutes on high speed before I deemed these white enough to be put into pans. I use two square pans – I’m guessing there both 9 by 9, my marshmallows were much thinner than yours but I think I got about 100 marshmallows so its ok. They were really sticky and off white and gooey before I coated then with the Erythritol but once they were coated they were not sticky at all and held their shape better, and were pretty close to the white I saw in your pictures. they were still a little more flimsy than I expected but I think thats because I made them so thin and I think they would have been even whiter if I had used powdered Erythritol! But they were really good, they taste a lot like store bought, my dad and I think they are even better than store bought! I was wondering if this can be made with rice malt syrup, instead of agave? I never even imagined marshmallows could be healthy! What a treat to know you can make them like this. I’m going to try it for all the family. I feel silly for asking this, but how much erythritol did you use? I see in the ingredients where it calls for about 1/3 cup of arrowroot starch, but in the directions, it says to dust your counter top with a mix of the arrowroot and erythritol. This recipe looks divine; I might have to sub the agave for honey instead as I don’t like agave. As for the honey, I think that sub should work just fine, just note that your marshmallows will have a very strong honey flavor. Cooking honey to 230 degrees F intensifies the flavor. this recipe looks similar to my marshmallow recipe. question though…could i use honey or maple syrup instead of the agave (my dr put it on my list of NO)? I think a mix of honey and pure maple syrup should work out, however I haven’t tried it. If you try it out, just note that your marshmallows will have a slight honey flavor. If using 100% honey, you’ll have a really intense honey flavor. I used to be afraid of gelatin (I didn’t really know what to do with it or how to use it) but now that I’ve discovered it I really want to make these healthy marshmallows. Wow, just amazing they can be healthy! They look great.